Having a mentor can be an invaluable career asset. Apart from providing a confidential space for impartial support and advice, mentors can also help open up networks and boost confidence. For Lone Clowes, Regional Director for the Nordics in Ramboll Environment and Health, mentoring has been invaluable. “I am one of those people who has always appreciated good advice and someone to talk to during my career,” she says. Lone has been fortunate to be both mentor and mentee. In fact, her first mentor was Ramboll CEO, Jens-Peter Saul. Successful mentoring is based on establishing a relationship of mutual trust. This neutral space also provides the possibility of discussing a broad range of topics honestly and from another perspective. “Mentoring allows you to bring different things to the table. This is a big advantage and because both parties have agreed to the mentor-mentee relationship, then it is okay – it’s another forum,” she says. The mentoring relationship also encourages an honest approach “by having the opportunity to bring something of importance into the room and saying, ‘I really would like your honest opinion of this’, as well having mentors telling what you don’t want to hear,” she explains. 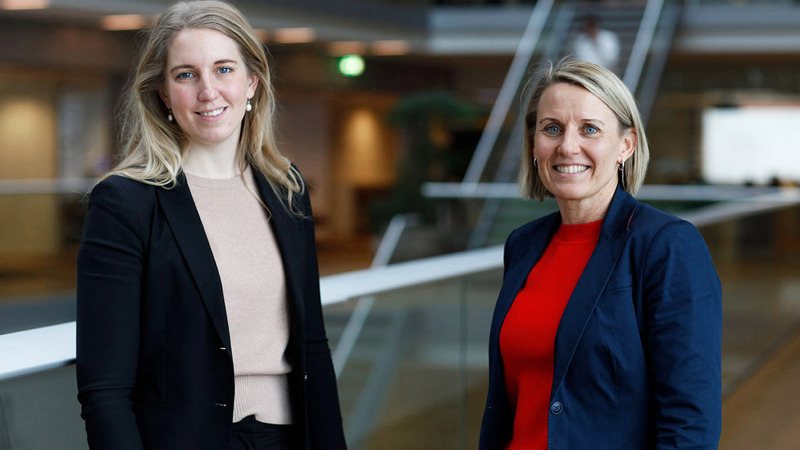 Lone hopes her positive experiences as a mentee can be put to good use in her new role as mentor for colleague Liv Nyholm Vaag from another Ramboll business unit. Mentee Liv points out that there are also advantages of having an experienced mentor.